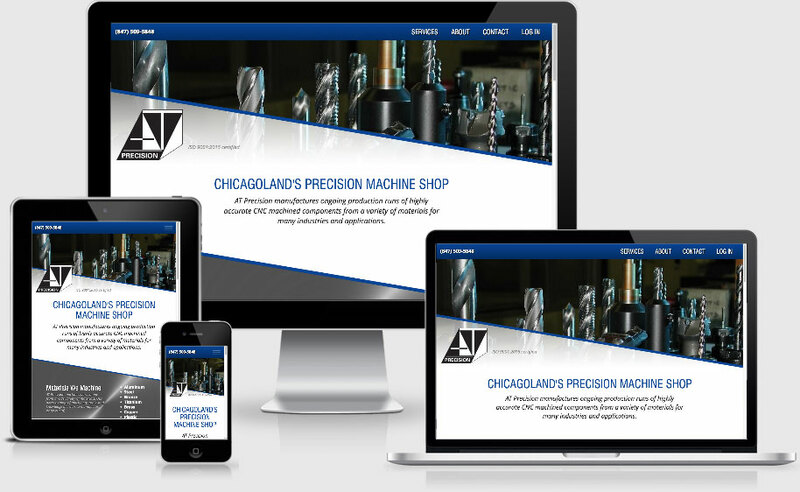 Update existing website with a responsive, mobile-friendly solution. Companies needing high quality, highly precise, ongoing production runs of machined components. Cedarock has served AT Precision for 19 years. Over that time, we have interviewed the customer, conducted competitor research, researched keywords, defined site architecture plans, provided content writing, graphic design, video, photography, user experience design, user interface design, front end coding including HTML and CSS, backend programming such as PHP, website hosting, DNS, SSL, domain registration & renewal, Google Analytics, online profile management, search engine optimization, local SEO, pay per click search engine marketing, brochures, and business cards.